Hi, I read the Korean trans. version of The Emotion Thesaurus. And I am turly surprised how you collected and analyzed all these datas. If can, I would like to hear about the process of collecting these information and how you sorted them. Hi, Lily! 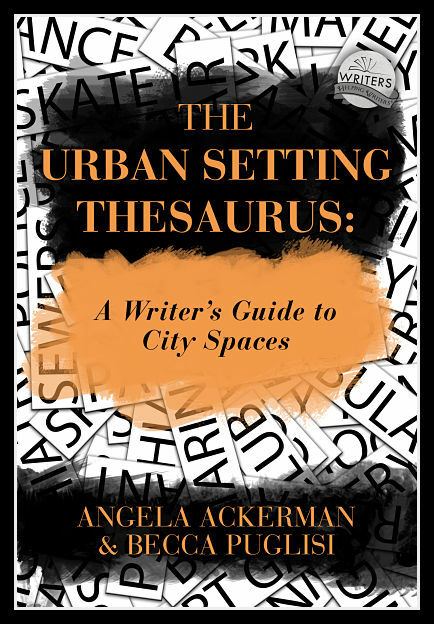 The Emotion Thesaurus began out of a need Angela and I saw in our own writing. Our characters were always smiling, frowning, clenching their fists, shuffling their feet, etc. to show certain emotions. We wanted to figure out how to show emotion in different ways but didn’t know how. So we started making our own lists of emotions and what happened in the body when that feeling hit. We paid attention to our own emotions and what was happening when we felt them. We watched movies and made notes about what actors were doing when they wanted to portray a certain feeling. And we noted how other authors were expressing emotions in their writing. This is how we created the content. 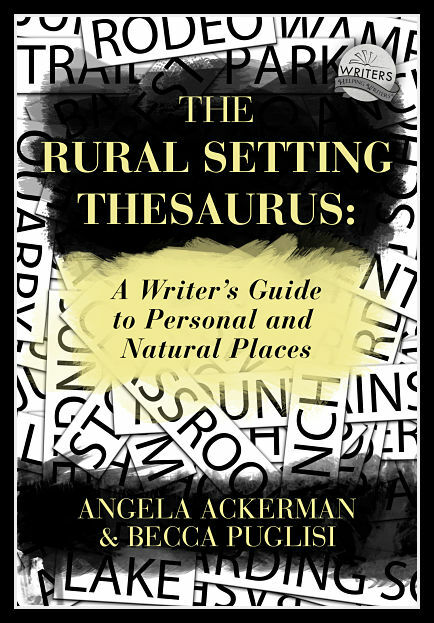 The entries in the Emotion Thesaurus are by no means comprehensive; we encourage authors to use the same techniques to make their own notes and add to the lists. We also encourage them to not use our suggestions verbatim, since each character is different and will express emotions differently; it’s important to personalize these cues to your character. In this way, hopefully you can use this resource to come up with ways to show your character’s emotions in fresh and individualized ways that will ring true with readers. Hi, Howard! Congrats on your recent publication. Writers Helping Writers isn’t a group; rather, it’s a blog that provides writing tips and advice via posts. To receive notifications of new posts (so you don’t have to keep checking in), you can sign up using the box in the left-hand sidebar of the home page. We also have published a number of books to help writers with various aspects of writing; you can see what those are all about on our Bookstore page (https://writershelpingwriters.net/bookstore/). While we do offer practical help via these tools, we aren’t able to help with reviews and visibility, unfortunately. But hopefully you can get lost of help on the craft of writing here. Best of luck to you! We’re so glad you found us. I would be fascinated to read your book Howard, as I survived one near death experience, just one. How on earth did you manage 29? Thanks for all the GREAT information. I’ll check it out! 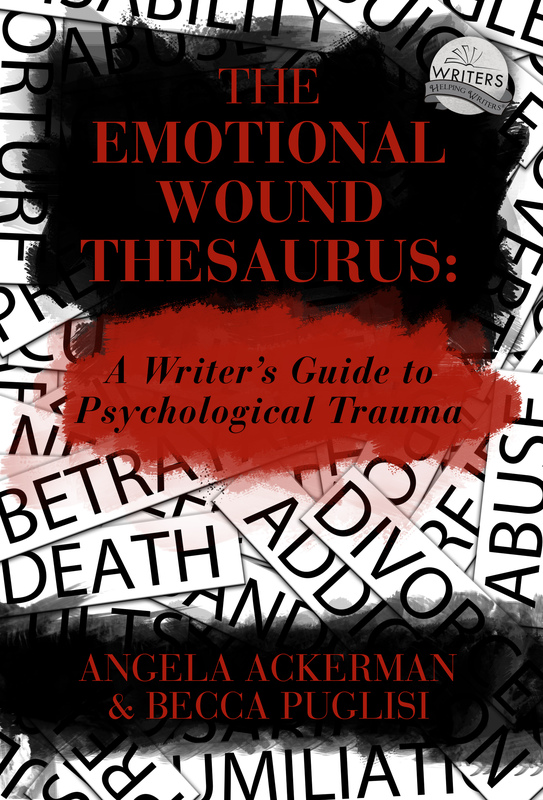 “The Emotion Thesaurus” has become a valued tool I carry with me when writing. These helpful descriptions not only help put flesh on bone on the characters, greatly enriching the story, but it is also an omnipresent reminder of “show, don’t tell” and acts as a teaching aid to drum that concept home until it becomes second nature. The breadth of description for each emotion gives ample flexibility so that I am not enticed to repeatedly use one description. William, thank you for taking the time to write in and tell us how this book is helping you–I am so glad to hear that it is providing the right amount of brainstorming when you need it! how to write about writing about things that happen in the past. Wow! This book sounds like the saving grace I’ve been looking for. How do i get it in Nigeria? Is it available online? Hi, Christy. All of our books are available for purchase on Amazon, iTunes, Nook, and Kobo. The PDF can also be purchased at Gumroad. You’ll find links to all of the book pages at the various distributors on our Bookstore page. I have written numerous children and youth musicals over the past 30 years. When asked if I would re-release some of the early ones, I knew going back into the studio and recording all the tracks & vocals would be cost prohibitive (originals are on cassette tape). So, I decided instead to write them as novels. It sounded like a simple task. But “show don’t tell” was driving me crazy. The more I read on the internet the more confused I got. When I wrote the musicals, I had a group of 100 kids and wrote character parts based on the kids who would have the main roles. I could simply write “Angry, stomp foot”, knowing exactly how that child would do it, including all the body language. Not so with converting them to novels. I could not just say “Amy got angry and stomped her foot” it just sounded lame (which it is). Anyway, I walked to the library to find a book that might help. I checked out “The Emotion Thesaurus”. As I began my four mile walk home walking home I started reading. In just a few pages “show don’t tell” made complete sense. Exactly two blocks from the library I rushed into a bookstore and bought my own copy. I have a lot of books on writing but only one that sits on my desk all the time. “The Emotion Thesaurus” is my #1 reference book. When I get my next check I will be ordering both the Positive and Negative Trait Thesaurus books. Thank you SO much for writing these and making them available to beginning novel writers like myself. Wow. What an awesome story and an amazing testimonial! I remember “Show don’t tell” being the first big light bulb for me as a writer. I was struggling with it, too, and one of my critique partners explained it in such a way that I finally understood what she meant. I’m so glad that our books were able to clarify this are for you. And what a great idea, to turn your musicals into novels. You’ve already written the stories; now it’s just a matter of turning them into a different format. Best of luck with your project! Hey, long time! I’ve just written a book review. Your tips were helpful. I’ve shifted to wordpress from blogger so it’s been a while. I lucked into finding one of your books and I cannot tell you how pleased I was to find that there were the three of them. I was asking myself “this is too perfect, is there more than one?” thankfully yes there were. I knew right away I had to have all of them. I know they will be very helpful in the future. What a great idea for a book. Although I have been trying to wean myself off of paper books, I will be getting them in both formats. Sadly did not see the Emotion Thesaurus in paper form. Thank you for these great books! So glad that you guys have a website! After downloading your books to my kindle I was thrilled to find out that you have a website too! Thank you so much for the wonderful guides that have helped me become a better writer and to feel more confident about how I write. Thank you and I hope you carry on being amazing! Charlie, great to hear from you, and so glad you discovered this site, because we have a ton of tools and articles that might also be a help. Please explore the site, and don’t forget the Writing Tools page! Wishing you all the best! I bought the kindle version of the Emotion Thesaurus – its amazing. In fact its so good I just bought all three books in paperback and am eagerly awaiting my delivery from Amazon. I found this site today, excellent resource. Thanks very much for all your hard work. I’m so glad you found us, Ellie! It’s feedback like this that keeps us going :). I bought “The Emotion Thesaurus” along with other books on words for authors from Amazon. I use it as a great reference tool. Being able to visualize things, we all know a sad person on the edge of crying may pucker their lips. However this book also gives physical and mental descriptions of suppressing tears, allowing the author to write what is not obvious. Suzanne, so glad the book is helping you brainstorm better visuals for emotion!